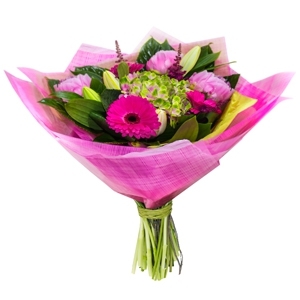 Naturplant offers customers a great way to send flowers in Benidoleig and surrounding areas. 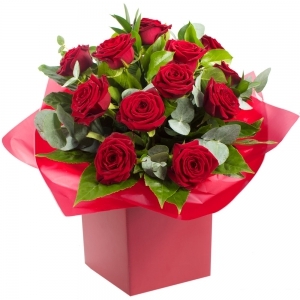 Our service includes same day flower deliveries and next day deliveries. 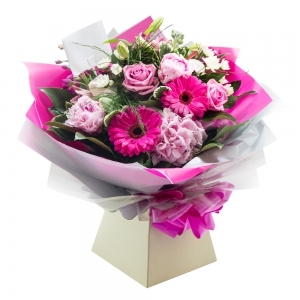 We pride ourselves on delivering fresh flowers for all occasions including Birthdays, Anniversaries, Weddings and Funerals. 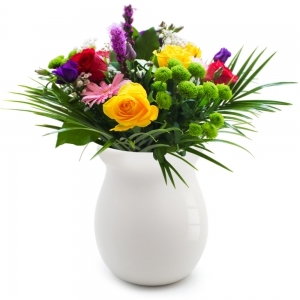 Let us know your special requirements and were sure you'll be delighted to order from Naturplant. Always a great service and lovely flowers. Thank you. Just perfect! Flowers look amazing! Extremely helpful. Even though there was missing information on the address given, and they couldn?? ?t reach my mother by telephone, they continued to try and get it right. They didn?? ?t give up and my mother was so happy with the flowers when she got them. Thank you for not giving up! Prachtig boeket, gemakkelijk te kiezen en te bestellen. Super! 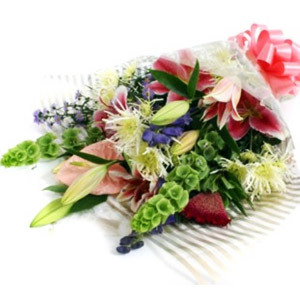 Flowers very high quality and delivered on time. Excellent service, my mum was delighted. I asked for yellow roses, and they were included. 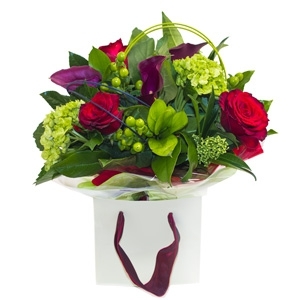 Good service and love the fact you get a email with pictures of the flowers that have been sent. The flowers that were delivered were described to me as &lsquo;beautiful&rsquo;. Very pleased. Beautiful flowers & great service highly recommend! 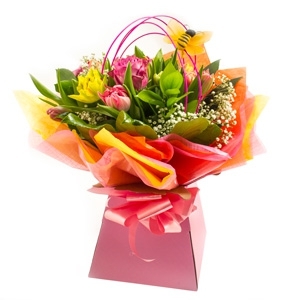 The recipient was very pleased and they look lovely and the butterfly decoration is a fun addition. 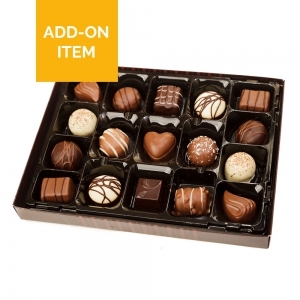 The wife loved the flowers and the chocolates, delivered on time with no hassels. thanks Naturplant. So impressed with direct 2 florist in Spain Impressive, beautiful arrangement, quality and on time the date set.. My aunt was thrilled after having an operation & really cheered her up! This made it great for us, as we live in the UK & can't see her.. Thankyou, will definitely use again & recommend! 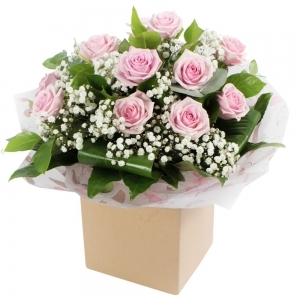 The flowers delivered were beautiful and the feedback from the person who received them was very positive - thank you! Not seen flowers so can&rsquo;t comment but sure they will be lovely. Many Thanks. 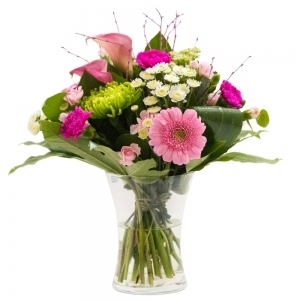 Superb service, beautiful (and interesting selection) flowers, very good value for money and extremely nice delivery person according to the recipient. 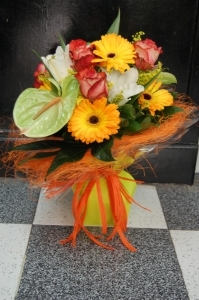 Third year in a row that I have used this florist for delivery of bouquet to close friend's on their birthday. Alway excellent so no reason to look elsewhere. Great service ! 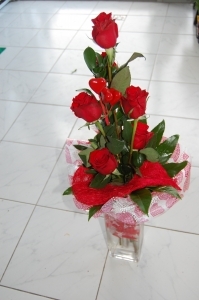 Fast delivery, and emailed me a picture of the flowers being delivered. Perfecto ! Fantastic service delivered as requested and a very pleased recipient who said the flowers were beautiful. What more could you ask for! 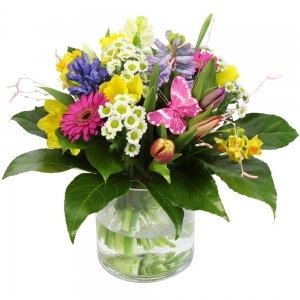 Excellent Service and beautiful flowers which were very fresh. 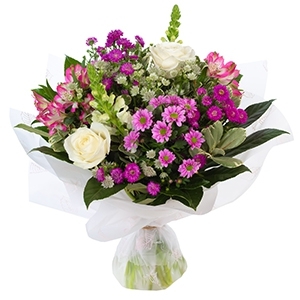 Have ordered from Naturplant for many years, never disappointed, goregeous, fresh bouquets and reliable delivery. Thank you very much for delivering such beautiful flowers to my dearest friend on her Birthday! 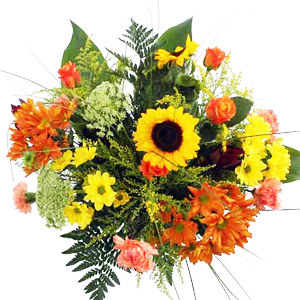 I ordered flowers from Russia, it was a surprise and I was a bit anxious about delivery time and how the flowers will look like. But everything was cool, thank you!! Wow - what a fantastic service. 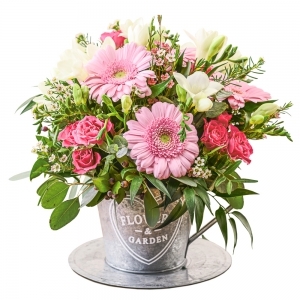 Too often, ordering flowers on the internet can be a bit of a lottery - but not this time! I will definitely be using this company in the future! Very good. Did all as expected. In time and a very nice flowers/Choco/cava. 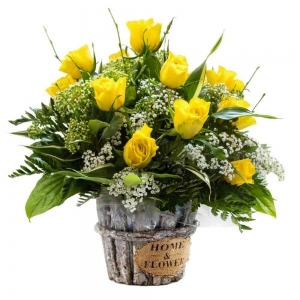 Points of improvement: * delivery confirmation in mail was 1 day after delivery, so I was a bit worried that the flowers were delivered a day too late. 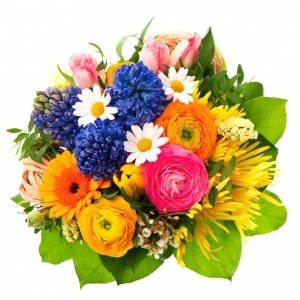 Perfect service, very nice and friendly people and of course very beautiful flowers. I recommend them to everyone!! 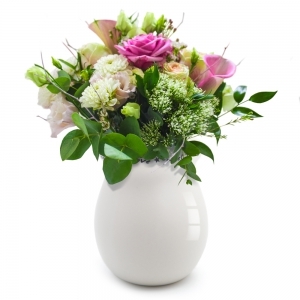 This is the second time I have used Naturplant in Benidoleig to send flowers to loved one. 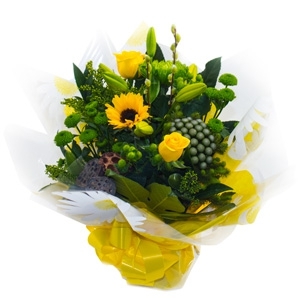 They have provided an excellent service on both occasions delivering beautiful bouquets on time to my grandparents and my mum. Will definitely use them again soon! Excellent service. Flowers look lovely. Thank You everything was perfect. 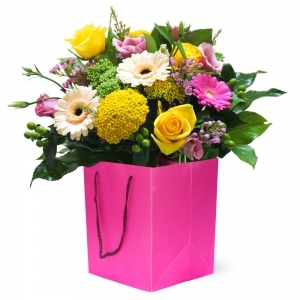 Superb service - no hesitation in recommending this florist!!! Excellent flowers and delivery as always. Flowers still looking great a week on. Mum is really pleased with them. 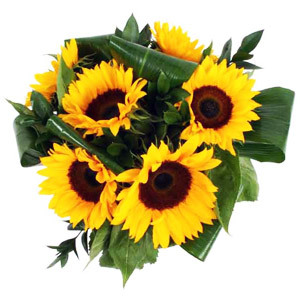 The most beautiful perfect flowers - I have used this company twice to send flowers to family in Spain and can't recommend enough. Not forgetting that our family loved them. Amazing quality, value and service! Will be using you again! 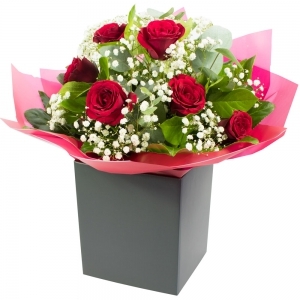 Easy to order, quick to deliver and the flowers were beautiful. Thank you so much, would highly recommend! Lovely flowers which were delivered exactly when asked and even had an email from them to let me know the flowers were delivered and with a photo too... brilliant! Always reliable. Lovely flowers and great communication. Absolutely fantastic service. 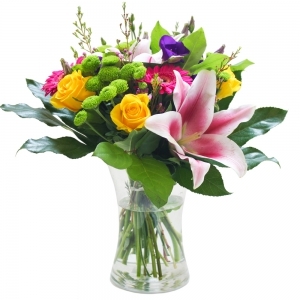 Beautiful flowers and excellent value for money. My mum was thrilled. Im especially impressed at the effort to ensure they were delivered on the day. My mum wasnt home and im told numerous attempts were made to ensure delivery. Thankyou so much I will definately be ordering again! 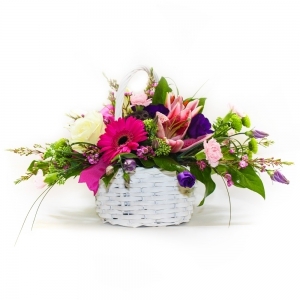 Efficient service, easy ordering and fabulous product delivered as requested. Thanks so much. My friend was thrilled with her flowers. Terrific service. Thank you. It&rsquo;s great to have the opportunity to use a local florist abroad, the flower arrangement was beautiful and the service was first class. Great service, and so good to be sent a photo of the arrangement. We use this florist when we are visiting Orba. 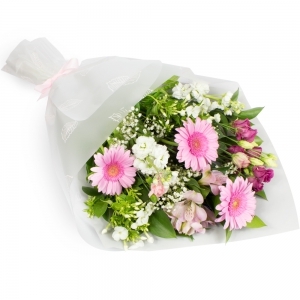 They are always friendly and very willing to give advice when choosing flowers. 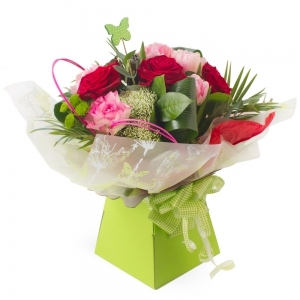 So we have confidence that they will deliver lovely bouquets to our friends when ordering through direct 2florist.com too. Excellent service and reasonably priced. Thank you. 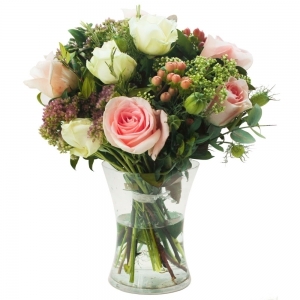 Beautiful, generous fresh arrangement delivered on time. 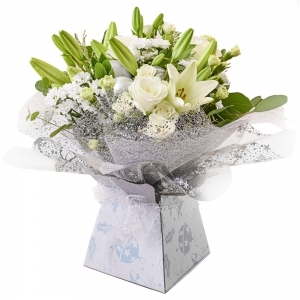 We particularly appreciated the wonderful images provided of the actual arrangement prior to delivery which gave us confidence and peace of mind. Will definitely use again. 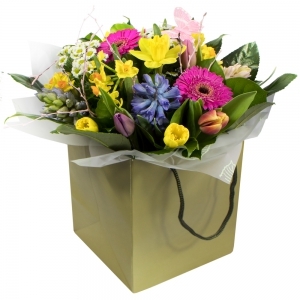 Smashing flowers delivered in double quick time. Fully recommended. Always a great service, beautiful flowers delivered on time. I really like that they send a picture of the actual arrangement. I will use them again. Excellent service. Flowers were delivered to my Daughter in Spain within 2 hours of ordering them. Will definitely use this Florist again. Great service and good communication to confirm delivery plus a photo. Very happy. 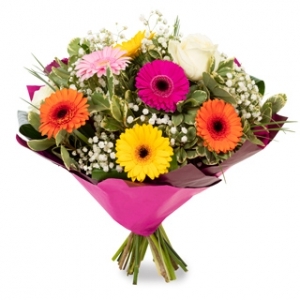 Exceptional service; fantastic arrangement delivered which was much appreciated; very good value for money. Flowers delivered as requested and I am told they are lovely, so thank you. Really pleased with the service. Delivered on time, lovely condition. Couldn't ask for anything more. Made buying for my sister's birthday easy! Thanks Naturplant. The recipient of the flowers was extremely happy with her flowers, chocolates and teddy. 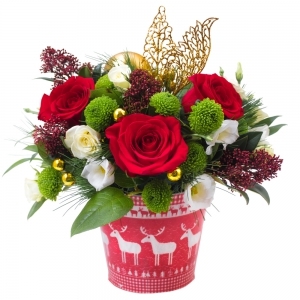 I would use both the florist and website to order flowers for relatives and friends overseas. I was impressed with the ease of ordering and products available. 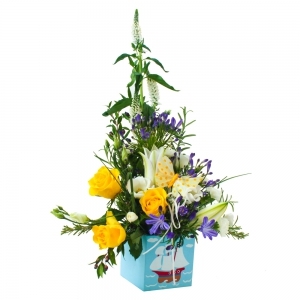 Beautiful arrangement and timely delivery! Wonderful company! Thank you! 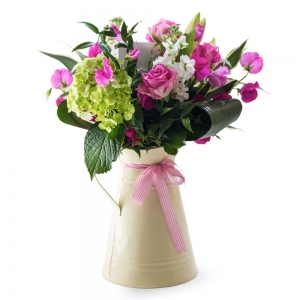 Lovely flowers, and delivered on Mothers Day! Mum has reported they still look great a week later. Naturplant are great. They communicate appropriately and have never let me down. My friend in Spain always loves the flowers and I always know that they have been delivered because I get a picture from Naturplant taken in the home. Wouldn't use any one else. Fantastic service as always. Really nice touch to receive a photo of the flowers before they get to the recipient. Thank you once again. 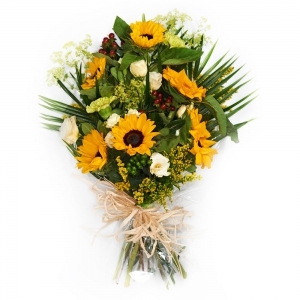 Best quality flowers locally - fantastic! Customer service great. 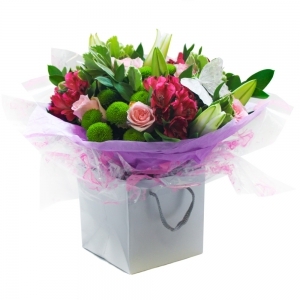 First florist unable to deliver to area but I was contacted with another option. 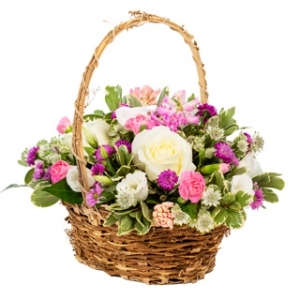 Florist contacted me to arrange delivery. Flowers arrived and I have one very happy mother who received them. 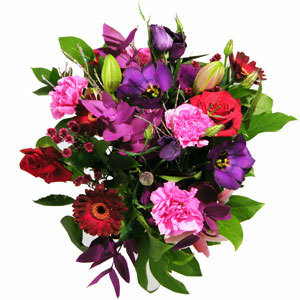 As usual, a lovely bunch of flowers was delivered on time and I especially like being emailed a photo of the flowers. Brilliant service, finding a florist who delivers in Spain on a Sunday is nearly impossible so this was great. My Mum loved the flowers, they were gorgeous. Would reccomend to anyone. 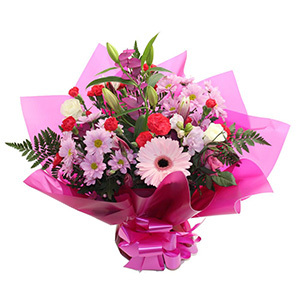 Delivered at time selected and they were really lovely but not the same as the photo. Beautiful flowers as always from this florist - always deliver on time and as requested would highly recommend them. efficient service and very good price. Used these guys on a number of occasions now and never let me down yet! 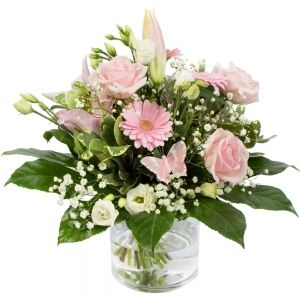 Beautiful arrangement of flowers delivered on day and time requested. Friend was absolutely delighted with them. Many thanks . 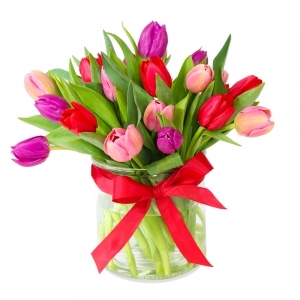 Excellent service and you even get a picture of the flowers sent out. Outstanding service and products. Recommended !!!!! My friends received my flowers for a wedding anniversary. They loved them. They are beautiful flowers beautifully arranged. Thank you so much, the flower display is lovely. Amazing service, beautiful flowers delivered same day in Spain. Mother very happy! Delivered repeatedly until success, very grateful they completed the job. Fabulous fresh flowers as always from this excellent florist. Thoroughly recommended. The flowers looked fresh and were beautifully presented. Outstanding flowers and service. I ALWAYS use Naturplant in Benidoleig. The quality and quantity of blooms was exceptional. Incredible value for money. Superb flowers and great family service.Outstanding. 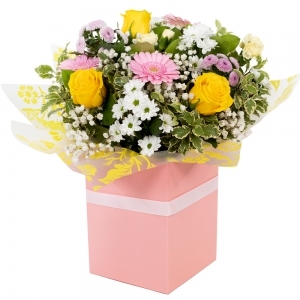 Lovely arrangement delivered on time. 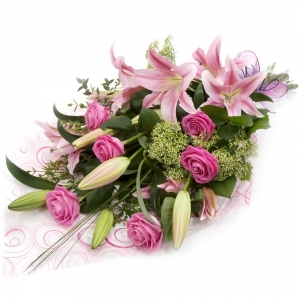 Our friend was delighted with the beautiful flowers sent to her for her birthday. Thank you for your good service - arriving on time and we were appreciative to be kept updated. Thank you. From the photo I could see that the flowers were tastefully arranged and looked fresh. Never saw the flowers myself however the recipient said they were wonderful. 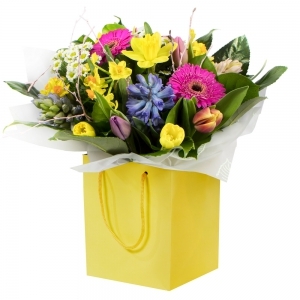 Great delivery and absolutely Gorgeous Flowers. <br/>Jill was amazed, said they're awesome. <br/>Many many thanks. I'll thank them in person on my return. My wife was very very pleased with her flowers and I will be deifinitly be using them again. My family comment was ' it's the best floral display ever recieved ' and 'just fabulous' !!! <br/>I will definately be using you again - thank you. 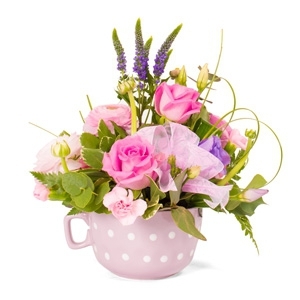 My daughter was delighted with her unusual and beautiful arrangement - and I was pleased to get an email on the day of delivery showing the actual flowers just prior to delivery. Very well done! Lovely flowers and prompt delivery. Recipient very happy with flowers, they were delivered on time. Will recommend to others. My mum was very happy with her flowers and they were delivered promptly. Always beautiful flowers delivered when requested. Really pleased with the flowers sent to my Mum. Nice that they also called my Mum 30 minutes before delivery to check she would be in - excellent service! Great service and beautiful flowers delivered perfectly on time. This florist was unable to deliver on this occasion but let me know promptly and arranged for another florist to make the delivery. My parents were delighted with the flowers which they said smelt wonderful and were very attractive. I would definitely not hesitate to use them again. I was a little disappointed with the flowers they sent. 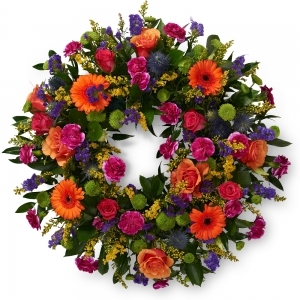 I ordered an &quot;an exciting and vibrant&quot; display The flowers delivered, although lovely, weren't as vibrant as I was hoping. Delivered on time. Last year they notified me that it had been delivered and sent me a photo of the gift, bit this year no notification or photo. So last year was excellent, this year good. Being so far away I would have really appreciated actually seeing the gift. Feedback from my sister on her flowers and the delivery was very good. So thank you. Will use them again. Beautiful bouquet of flowers. Excellent prompt service. They went out of their way to ensure the delivery was made to my mum on the day I'd requested. Great Service, thank you. Second time used these guys they are a fantastic service. Once again beautiful flowers and delivered on time as requested. 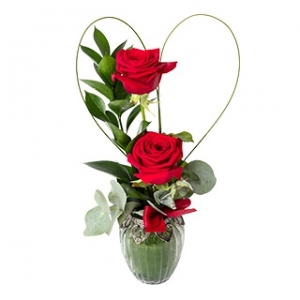 Its so reasonably priced for the bouquet they put together as well. Very very happy!! Beautiful flowers. Perfect arrangement. Very happy with the product. Left the arrangement to the florists. My friend was absolutely thrilled with the result. Thank you. It was a special birthday. On time and exactly as anticipated with an additional touch for the occasion. 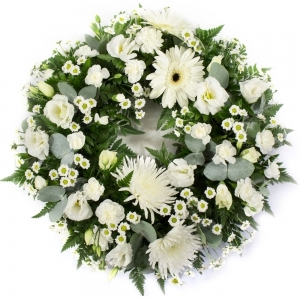 I was pleased to use a local florist and my mother was delighted with the flowers she received. 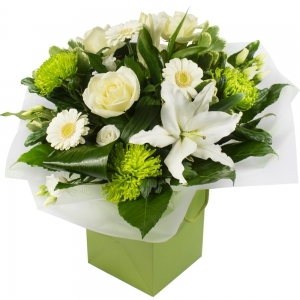 It was good to receive an email with a photo of the flowers sent to my mum and I was very pleased with the service overall. This florist never lets me down providing beautiful blooms arranged artfully and with flair and a service which is truly excellent. 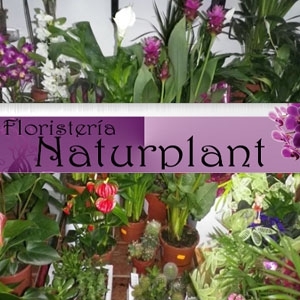 I have tried others, but always pick Naturplant as my number one! recipient loved them, beautiful bouquet. Superb flowers. Have used these three times and the flowers are amazing. Excellent service. Thank you! Nice flowers delivered on time. My friend was over the moon with them. Great idea to send a photo and really good to know that a local florist is doing the work. Will use again, definitely. Absolutely brilliant service!! Received confirmation the flowers had been delivered and also pictures of the actual flowers! Recipient was also delighted with the quality. I will not hesitate to use this company again! Absolutely first class service. 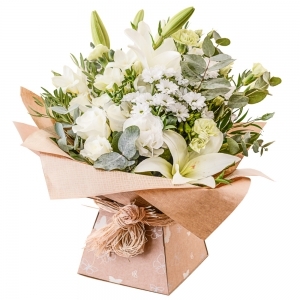 Delivered on time, emailed me a delivery confirmation AND included photos of the actual bouquet sent - peace of mind when sending from England to Spain. 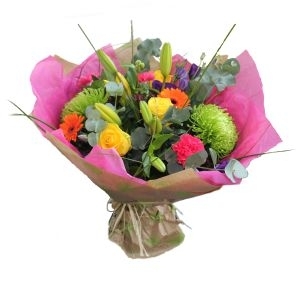 My mum was over the moon with the flowers, they were fresh and colourful and arranged beautifully. Will definitely use again. Many thanks. Thank you very much - beautiful flowers and my stepmum was over the moon and so reasonable. Fantastic service and will definitely use your services again. 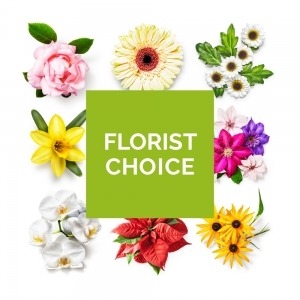 Having used many International florists since we moved to Australia from Europe, your flowers & customer service exceeds them all by a very long way. 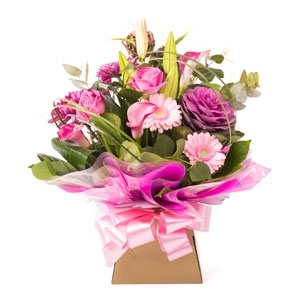 From constant updates as to the status of the order to a photo of the actual flowers sent - you deliver more than you promise, unheard of these days. 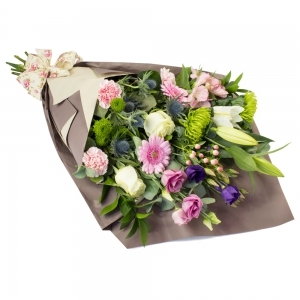 Rarely does a florist manage to execute the exact preferences preferred (colour, flower type etc), but you did exactly that, making the recipient a very happy person indeed. We shall be recommending you to all and using you again. Thank you. Fantastic service, would highly recommend. Ordered at 06:30am delivered by 10am! The flowers were of superior quality and the man who delivered them was really lovely. Would definitely use them again as everything was superb! Thank you for such a fab service! 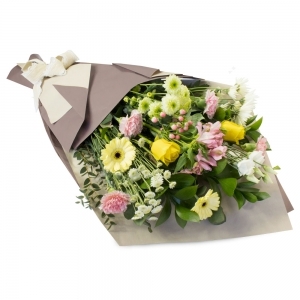 Fantastic blooms, beautifully arranged and delivered on time with care. 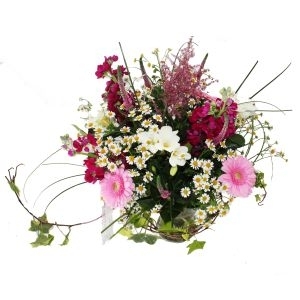 I have ordered from this florist several times now and an always happy with it. The flowers are always beautiful. 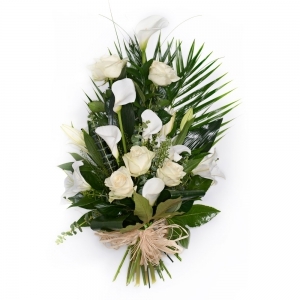 I love that they send you a picture of the actual bouquet they have made. The flowers were delivered a few hours after ordering online and a wonderful surprise for my Mother in her hotel room. She sent me a photo of them and they were SUPERB. Thank you very much for an excellent and well-priced service. 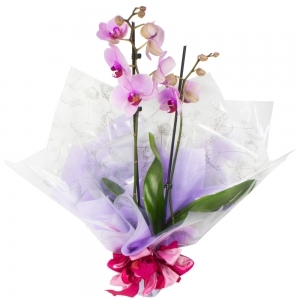 Fantastic flowers at a resonable price. Second year in a row fabulous flowers have been delivered for Mother's Day . Thank you. My mother liked the flowers very much !!! This florist was brilliant. They rang to check that there was someone in and delivered within about 3 hours. Thank you. Ordered flowers for the second time from this florist.Friend very happy again this time.Flowers beautiful and very fresh. The flowers delivered were of a high quality. The arrangement was lovely and the photo sent to me showed me just how lovely they were. They went the extra mile to make the bouquet special for Christmas. My friends were delighted and said it was the best arrangement they had ever received. Thank you. My friend loved her bouquet, and that's what matters! Looks better than the picture online. Very pleased with service and product would use again. Thank you so much for your services. My aunt was so pleased with her flowers! Excellent service. 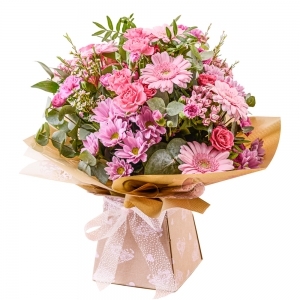 We were particularly impressed to receive a photograph of our sister in law taking delivery of the magnificent bouquet on her doorstep, which we received via e-mail a few moments after my brother had phoned to tell us the flowers had arrived. 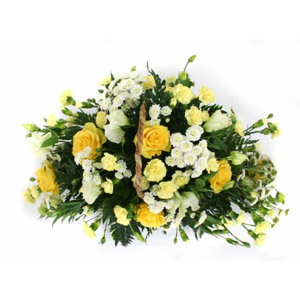 Advised by recipients that the funeral arrangement arrived on time and was of excellent quality. With such short notice you helped us send off our mother and helped us through such a difficult time. The flowers all arrived on time and were beautiful. Thank you so much! Absolutely fantastic! Going to book my second order today! Perfect service, very happy customer! My mother, the recipient said it was the best arrangement of flowers she has ever received. 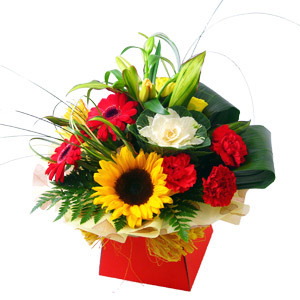 Delivery service excellent and our friend was delighted with the quality of the flowers. Beautiful arrangement with lovely selection of flowers which was very much appreciated by the recipient and all who saw them. Flowers delivered same day, and beautiful. Excellent service would most definitely use them again. It can be very hard to organise these things from continents away. Many thanks. The recipient said that the lowers were lovely and they arrived on the right day. Excellent service. Thank you. Went out of their way to ensure deliver and kept me up to date with emails. 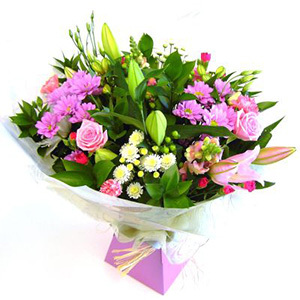 First rate service and even got photo of flowers as delivered. Recipient delighted, my mum. All done within 12 hrs of placing order. Will use next time, thank you! My mother was absolutely thrilled with her birthday bouquet! I'll be using you again. The communication with the representative, Emma, was excellent. the service was also excellent as we placed the order mid afternoon Spanish Time and it was delivered same day a few hours later. Naturplant made multiple attempts to deliver until they were succesful. My mother was happy about the flowers. Wonderful, fast service! One day's notice! 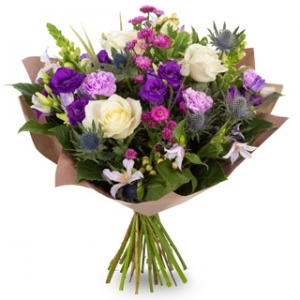 The florist even emailed me a picture of the bouquet and let me know when it was delivered! Awesome. 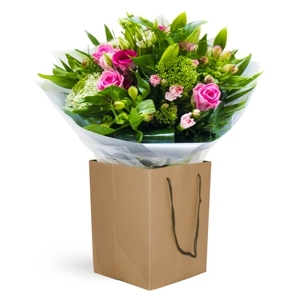 Very professional.Phoned before delivery.The receiver was very happy with her beautiful flowers. Thank you- a fantastic service and a very happy Mum who loves her flowers! Thank you very good service appreciated by sender and recipient alike. 1st class service - thank you for looking after us even when the address was not complete. Going to the extra trouble to get the flowers delivered on the day was very much appreciated. Can't recommend your services highly enough. 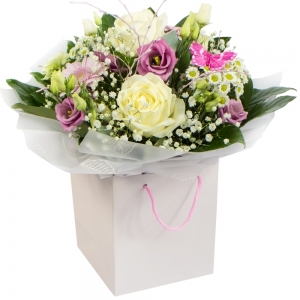 Really love the photos emailed to us of the delivered flowers, beautiful touch. 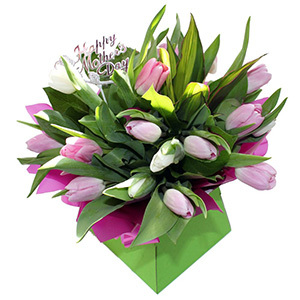 Stunning flowers delivered on time. I love the picture of the flowers being received, a very nice touch. another fabulous arrangement, many thanks, will be back again! 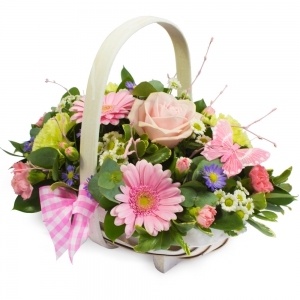 another lovely arrangement, delivered on Mother's day, my Mum loved them, many thanks. Great service and communication. Highly recommend and will definitely be using again. Ordered for my mums birthday, very happy. Another great arrangement. Love being able to see the arrangement via the email the company sends. Will be back again. Thank you for the fantastic service. Well done ! 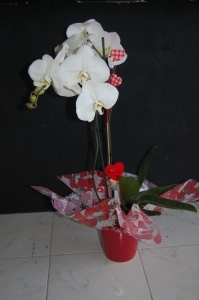 My friend like the buquet a lot! Great service and very nice looking flowers. Really appreciate the delivery confirmation with photos. 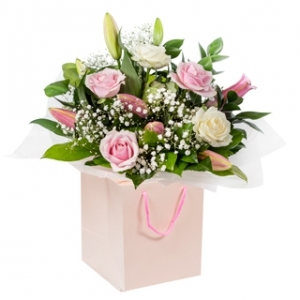 Simple to make an order and flowers were lovely and delivered at the time requested. 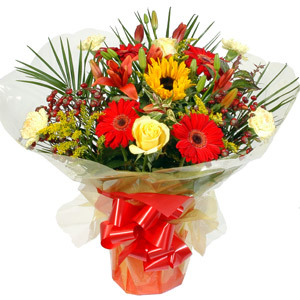 Excellent service, delivered on time and the flowers looked lovely. Thank you for making my friends birthday so special. Excellent as ever. 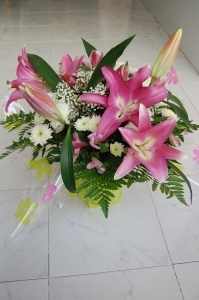 Very quick delivery, very pretty lillies and very pleased recipient. Thank you Naturplant and Direct2Florist - can't recommend you highly enough! Flowers were delivered on time (on a holiday) and were loved by my mother in law. I really appreciated seeing a photo of the flowers sent. Thank you very much for such excellent service. 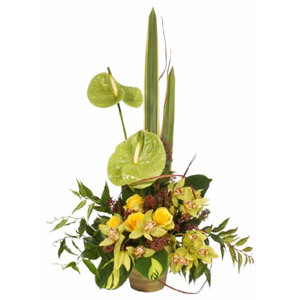 Once again a beautiful arrangement delivered promptly and by very helpful staff. The flowers are lovely and fresh and the colour scheme was very appropriate. Great customer service. They emailed me as I had forgotten to write a card. Wow this is some service! Ordered flowers at 10am, beautiful bouquet delivered at 11am - very pleased, thanks. Beautiful flowers delivered on time by a very helpful and talented florist. Wil DEFINITELY use again! Thank you. Ordered 8pm delivered next morning in Spain. Very happy Mum !! Excellent service from western Canada to Denia, Spain. Next day delivery, and beautiful. Thank you. Katalin W.
my dad text me to say thanks for the lovely flowers ! !within 5 minutes a email of you saying they had been delivered !great service thanks !! AMAZING SERVICE.. BEST SERVICE I HAVE KNOWN FROM A FLORIST. I AM ABLE TO TRUST THIS COMPANY TO DELIVER WHAT I WANT TO FAMILY AND FRIENDS IN ANOTHER COUNTRY WITH EASE AND CARE. WILL ALWAYS USE AND RECCOMMEND. THANK YOU. My mom (the recipient) described the flowers as "the best flowers I've ever received in my life" - and she's in her 80's!!! Thanks! Yet again excellent service to Spain - I have come to expect nothing less! 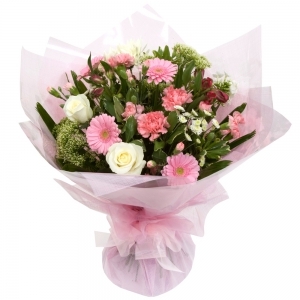 Even a last minute change of delivery detail was dealt with promptly and efficiently by very helpful staff in the UK. As usual the flowers were beautiful and delivered as requested. I rate this service 5 Star Plus. 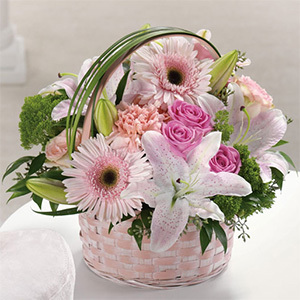 My mother loved the flowers, which were delivered on the requested date and time by your friendly staff. Thank you! 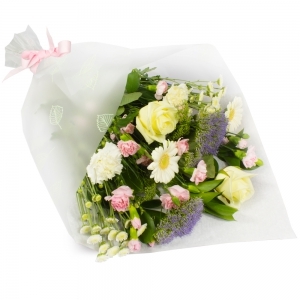 The flowers were delivered within the specified time. They were received and admired so I would definitely use their service again. Thank you Naturplant. My Mum absolutely loved the flowers. Quote " There beautiful never seen lillies like it" she was one happy lady yay !! Excellent service and lovely flowers. Amazing service! Despite the florist being 50km from my aunt's house the flowers arrived the next day (as planned) looking great! Would definitely use this florist again. 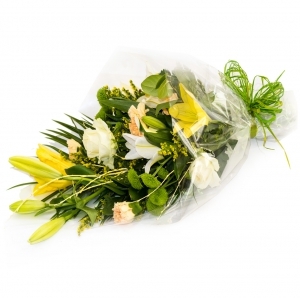 The flowers I sent to my Mother in Spain were delivered on time by a very pleasant and helpful chap. 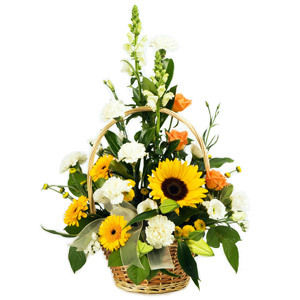 The arrangement was very well received - lovely and fresh. 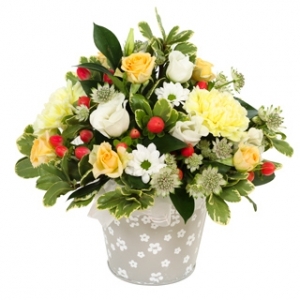 I would certainly use Direct2florist again as their service is second to none. 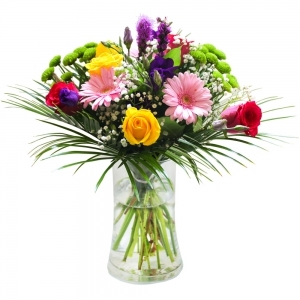 I ordered from the UK - the recipient was delighted with the flowers and they arrived with perfect timing. I will certainly use this company again. 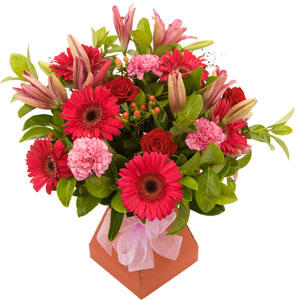 I am a florist here in Australia and was thrilled how easy you made it to send flowers to my Uncle. He was so happy with them though I am still waiting for a photo. Thankyou for your very professional service.Will certainly use your company again. 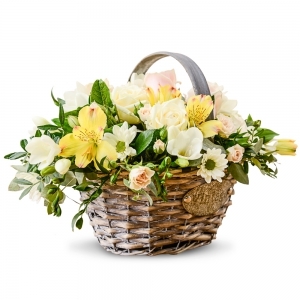 I was very satisfied with the service that I received with my order and and our friends too think the Bouquet that they received was BEAUTIFUL! 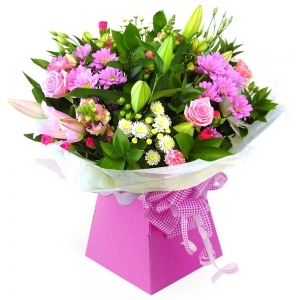 Our friend was "overwhelmed" with the arrangement and it was nice that someone phoned to see if she would be in before the delivery was made. Thank you so much. first class service, and recipient tells me flowers were wonderfull. I would use again. THIS IS THE SECOND TIME I HAVE USED THIS SERVICE AND I WILL CONTINUE TO USE IT AND RECCOMEND TO OTHERS. THE SERVICE UNBELEIVABLE AND ALWAYS GETS MY ORDER OUT IN TIME AND ITS ALWAYS BEAUTIFUL TOO. THANK YOU VERY MUCH. Fab service, delivered on time and sent me an e.mail to let me know they had done so. My Spanish neighbours were over the moon. Will definately use this company again! Beautiful arrangement and arrived on time. Will use this service again. Recipient advised me the flowers were lovely. I would use this service again and recommend. Thank you. 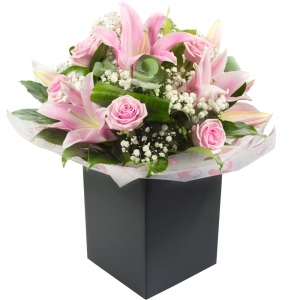 Flowers were beautiful, delivery was professional and informative. 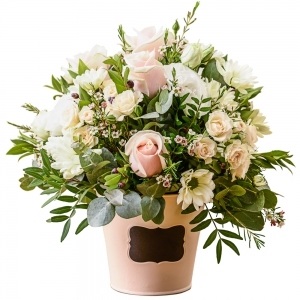 A beautiful birthday arrangement was delivered to my Mother who lives in Spain. The delivery man was very prompt and extremely polite and helpful. This is the second time I have used this service and will continue to do so. I am so pleased with the service you gave. The flowers arrived when you said they would and they are beautiful. I will use this service again as I liked the prices and the service. 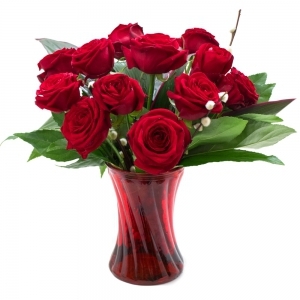 It is difficult to rate your service when I have no idea what the flowers that you sent, look like. However, the interaction was appreciated. I couldn't be happier with the service. 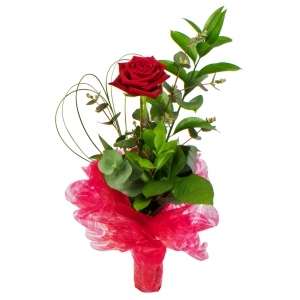 A web page easy to follow and the delivery very prompt. First Class. Lovely flowers thank you - received in perfect condition and very fresh - would definitely use again - thank you! Excellent service, brilliant. Will definately use again. 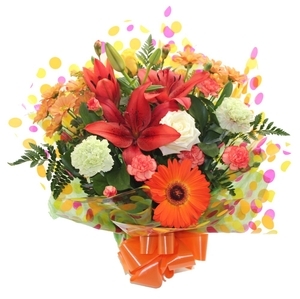 Flowers were delivered on time, were fresh and a superb selection. The delivery driver was very pleasant and helpful. We will use this service again when wanting delivery to family in Spain. 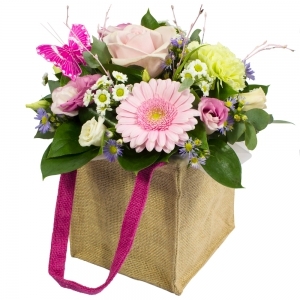 Very quick delivery, beautiful flowers, the best shop!!! I have not seen the flowers myself but have been told that they are beautiful. Ordering from this site was extremely easy and they kept me informed about receipt of my order and when it was delivered. I would use this service again. 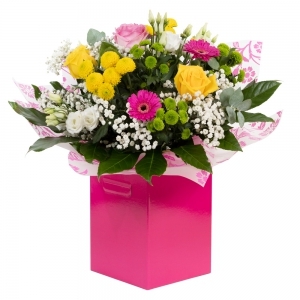 Excellent service and my sister-in-law said the flowers were beautiful and a prompt delivery. 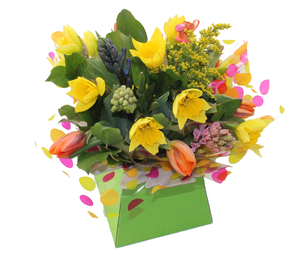 A selection of spring flowers delivered in a fresh and funky gift box. Perfect for this time of year! 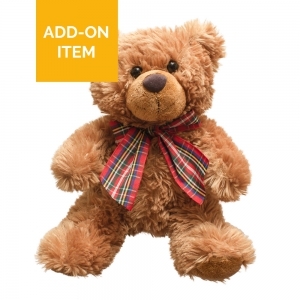 Beautifully basket with cuddly toy and Orquids filled with lots of love. 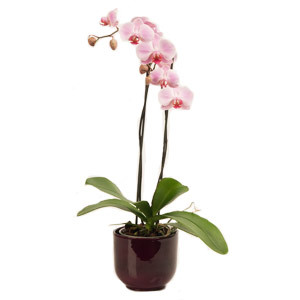 Beatiful Orquid Plant in plant pot, it can be orderdin different colours, we will confirme if we have it. Six red roses in a handtie. A very elegant arrangment.